Today I am sharing with you the tea cup that I have received in a trade with Tracie of Fishtail Cottage. She has a gorgeous blog and is hosting a garden party! Stop by her blog to get a real break from this cold winter we are having. I have not owned Colclough before. I am lucky to now have a pretty example of it. Thank you so much Tracie for taking the time to pick this pretty cup out for me. I want to thank Sharon of Faith Hope and Cherry Tea for hosting this swap. Thank you so much! If you follow the link to her site, you will be able to look at all the swap tea cups! I have been doing some more creating, and I will be posting about them soon. Wow..how fabulous!! What a gorgeous charming cup..it is so pretty..enjoy!! and a garden party? sounds terrific! HUgs and enjoy your new treasure! Oh, that IS a beautiful cup and saucer! Ah, a garden party sounds just wonderful right now, doesn't it? 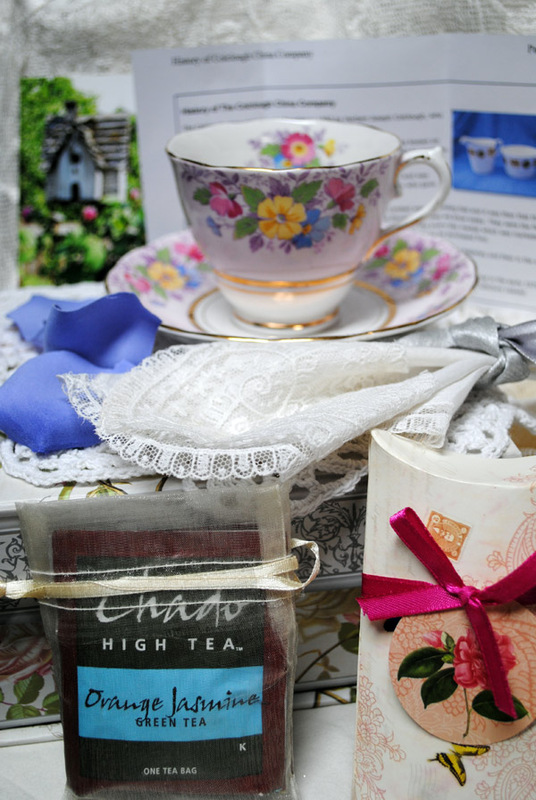 Wicker chairs, lace tablecloths, little sweets to munch on and some tea in your new cup. Ah, we can dream, can't we? so pleased for you Terri! 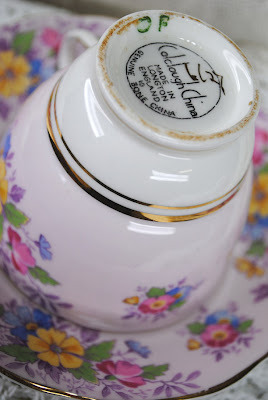 thank you for posting & adding it to the TeaCup Party linky! EnJOY!! Oh Terri, That is one beautiful cup. What a nice swap partner. Beautiful cup Terry! And I am looking forward to you new crafting! I love the colors and the floral pattern of this teacup. This swap has been so much fun! What a gorgeous teacup you have there! Yes, it was so sweet of Sharon to hostess this swap. It's been a great experience and a great way to find some new bloggy friends. It's a treasure, Terri. I've never heard of that kind before either. Now you have something to add to! Terri, what a sweet cup - it's the essence of Spring! You certainly received a delightful package of goodies...enjoy all. P.S. I'm looking forward to seeing your creations! What a beautiful tea cup!! The colors are exquisite!! Oh, what beautiful gifts! 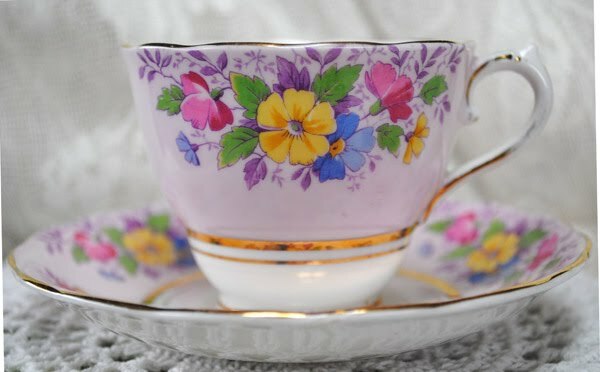 That is the sweetest tea cup...the colors are soooo pretty!